The Broadway Tenors are proud to bring their celebration of the release of their self-titled CD, The Broadway Tenors, to Feinstein’s/54 Below! The CD is produced by Jay Records, and features special arrangements created especially for the Broadway Tenors and well-known hits from the Broadway catalogue. Now be in the room to hear the live version! Featuring songs by Irving Berlin, Rodgers & Hammerstein, Sir Andrew Lloyd Webber, Leonard Bernstein/ Comden & Green, Stephen Sondheim, Stephen Schwartz, Lucy Simon, Marsha Norman Claude- Michel Schonberg, Alain Boubil, Herbert Kretzmer, Cy Coleman, David Zippel, Jonathan Larson, Frank Wildhorn & Leslie Bricusse, and many more, this is the best Broadway music sung by an incredibly talented group of Broadway’s best tenor voices. 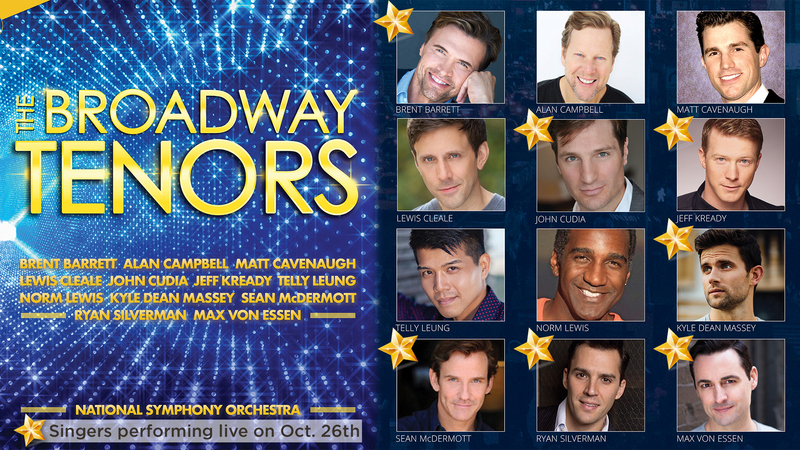 The Broadway Tenors CD release party is going to be a show not to be missed. Join us for this onetime celebration!